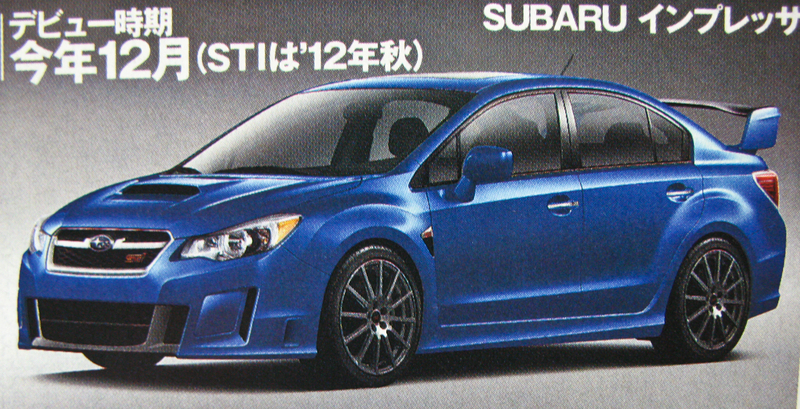 Since the new-gen Subaru Impreza has been launched, Subaru is now working on the new WRX version. According to the latest rumours, the new WRX will be powered by a turbocharged 1.6-liter engine, which will be capable of delivering 270 PS. The STi version will get an even more powerful version of the new engine delivering 300 PS. The use of a 1.6-liter engine makes it also possible for Subaru to return to WRC and already, Ikuo Mori has said during the shareholders meeting on June 24 that a new sports car will be launched in 2014. I will have the world's biggest smile if this comes as a 2 door!